NODA Summer school at Warwick University is where professionals teach amateur companies who want to polish or train in new skills. 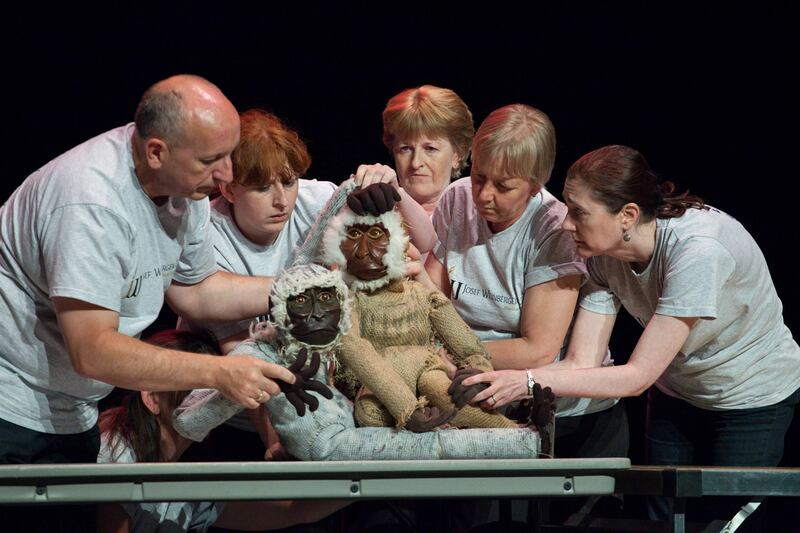 Last year students requested a course in Puppetry. 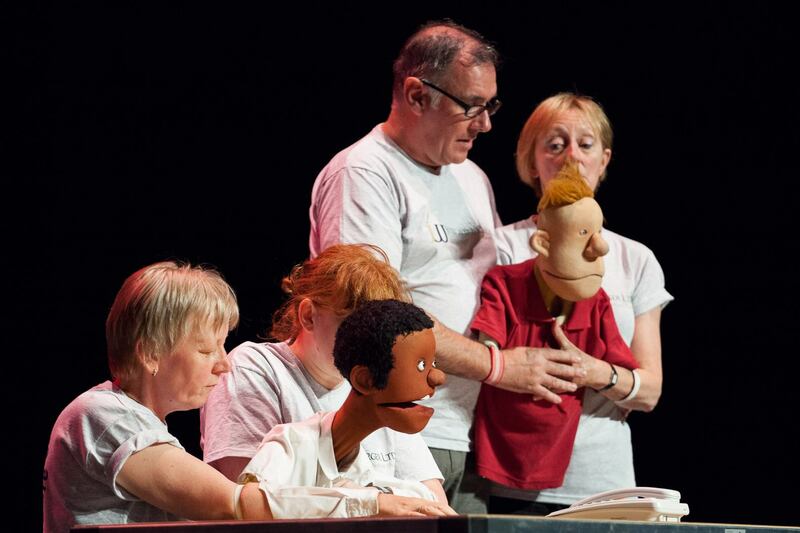 As the puppetry tutor I spent a week teaching a group of 13 adults aged between 30-60 how to puppeteer. We started with the very basics of object manipulation proceeding to more sophisticated multi-person operated puppets. Students also learn about fabrication of very simple puppets for workshops with younger amateur youth groups. It was an intensive learning environment with a very dedicated group of students. 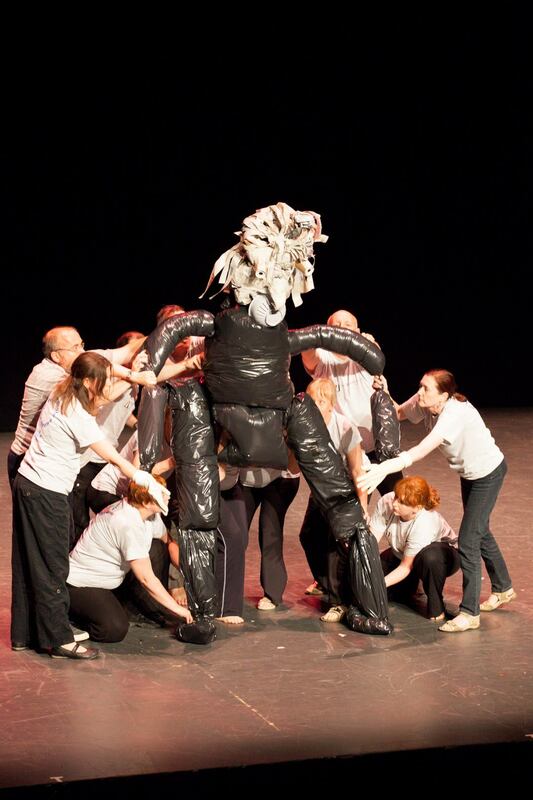 We created a performance based on the skills they had developed to share as part of a showcase at the end of the week.